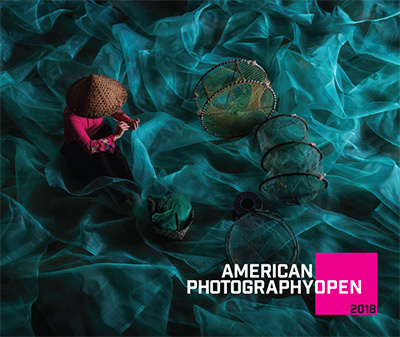 Photographers of all ages, backgrounds and experience levels are invited to enter the American Photography Open 2019 competition. Grand Prize- $5000, plus a Tamron SP 70-200 F/2.8 Di VC USD G2 (Canon or Nikon mount), value $1299, a SanDisk Extreme Portable SSD, a Skylum suite of software( including Luminar, Aurora HDR and Photolemur, a Fujifilm X-T3 camera and a PhotoShelter 2 year Pro account. 9 Finalists Prizes- a Tamron SP 45mm F/1.8 Di VC USD (Canon or Nikon mount), value $599, a SanDisk SD card, Skylum’s Aurora HDR, a PhotoShelter 1 year standard account and a Fujifilm XP130 camera. SanDisk Community Award Winner- in addition to the above Finalist prizes the Community Award winner will receive a SanDisk SD card. Short List winners- Inclusion in the Community Voting gallery on our Awards entry site on the Pro Photo Daily Facebook page and in the book celebrating the 2019 winners. When the book is published in October 2019 there will be a link provided for a free downloadable pdf as well as a link to order hard copies on demand.